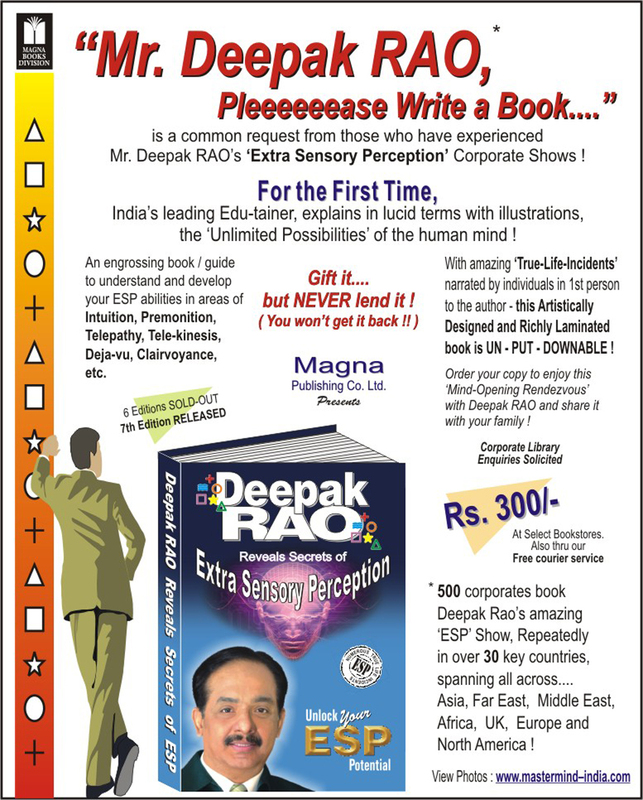 British Gas once again invites Deepak RAO to present his ‘ESP’ Show.... for 20 spouses. Yet, more than 7 times the ‘expected number’, turned up. 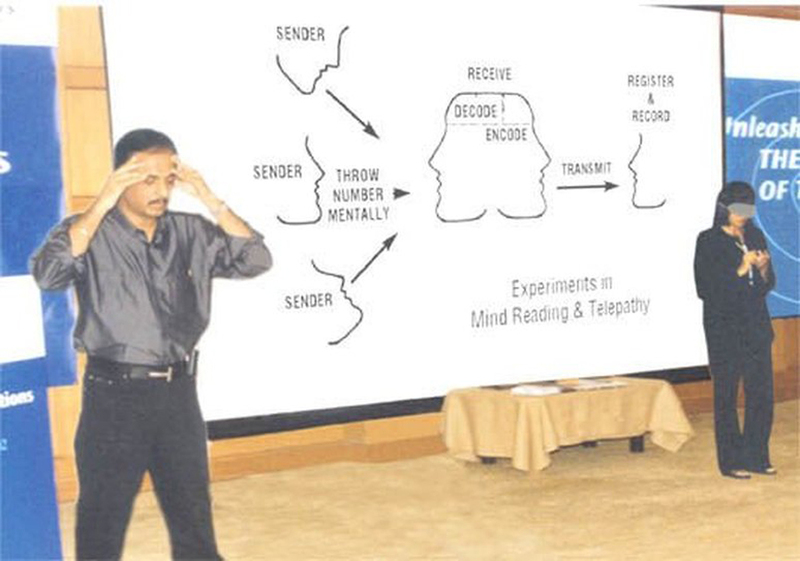 Earlier, Deepak RAO’s ‘Extra Sensory Perception’ Shows, were booked for an event or conference, that was happening. BG delegates who had witnessed Deepak RAO in 2005, had spoken about it so much, that a special ‘Morning Session’ was organised at Hotel Kohinoor Continental - Sahar on 29th May ’06, only for the spouses of the executives. When the word spread, that even the office staff & executives from the BG offices (neighbouring building), could go for the morning session. It was just a matter of time, that the hall was full !